On a lonely Himalayan footpath, Richard saw a fearsome tribe of Naga Babas. They held tridents crowned with human skulls. Heavy coils of matted hair on heads and thick ashes covered their flesh. Even in the biting cold, some of them were completely naked. Richard burned with eagerness to understand why they led such a severe life. With their permission he travelled with them and they threw furious stares at him for wearing rubber sandals. He instantly threw them off and then they offered an intoxicating chillum pipe. He hesitated and after some nervous moments when Richard wondered if he had offended them by declining, they finally honored his vow to abstain from intoxicants. He also saw them levitate about a foot above the ground. He met their guru who demanded that Richard become a Naga, one amongst them, immediately. Richard hoped the guru of Nagas would understand him and appreciate his desire to follow his heart. The guru finally blessed Richard to go on his way. Richard left impressed by their camaraderie and loyalty to the sect. Although they were wild, rough and lived severely, in their own way Richard concluded it was all in search for God. Radhanath Swami has personally lived an austere lifestyle on a mountain rooftop for over a decade. However to his students, he is reasonable and emphasizes on the need to maintain cleanliness and purity of thought. His students follow the basic austerities of abstaining from immoral activities. This he says keeps the body and mind clean and conducive for spiritual practices. The serious students, initiated into the spiritual discipline, additionally vow to chant a minimum of twenty five thousand names of God on the chanting, prayer beads. In the ashrams overseen by Radhanath Swami, there is no emphasis on austerities, the kind witnessed by Richard in the Himalayan forests. As Radhanath Swami says, “A spiritualist is known for his favorable remembrance of God, and not for his control of senses.” To the extent austerities are favorable for serving and pleasing God, the practitioners accept them. After all the austerities are not an end in themselves, they are the means to attain God. Once a student asked him why he went through so many austerities, and was tough on himself, whereas we have got it all so easy in our spiritual quest. Radhanath Swami humbly replied, “You are all so simple and sweet, and easily came to the shelter of God. But I am fallen, and very complicated. 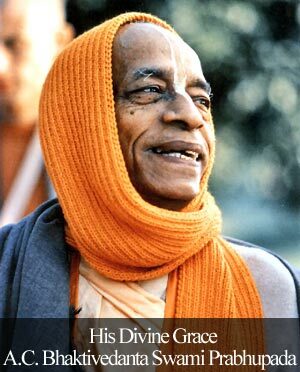 Therefore I had to go through severe austerities before I got shelter.” Nothing could be further from truth; his sincerity is beyond doubt, witnessed over four decades of tireless service to his guru’s mission. His endearing quality is while he is austere and tough on himself, and doesn’t compromise on the strictness of his personal practices, he is lenient and accommodating with the others struggling in their spiritual lives. 1/05/2012 • Are austerities needed in spiritual life? Maharaj has defined austerity in such a beautiful way. Also the fact that severe austerities performed with the pride that “I am doing such austerities” further take us away from God, ourselves and fellow devotees..and without the blessings of devotees we’re lost..As Maharaj in a lecture had mentioned that at the time of death Krshna only sees how much of ones false ego have we been able to give up..not the final result but the effort and endeavour we have put in to give up our false egoes..the sincerity of effort is enough to please Krsna and take us back home, back to Godhead.. Thank you for sharing such a beautiful article. It is very inspiring. This whole episode with the Naga babas is a very heart touching and capturing moment. the description is so vivid. Somehow the fearsome Nagas seem so human and so humane. Mahraj brings out the inner world of the Naga babas through this section. He shows how austere they were and how he himself had to go through so much austerity but he is the most lenient and accomodating person for others. that is his greatness. 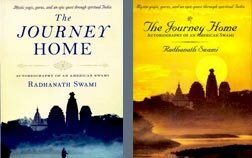 A fantastic article reflecting the insight Radhanath Swami had and realizations he shared during different episods of austere travels, in his search of the absolute truth. Radhanth Swami’s words on Austerity are really inspiring. He is teaching us what is true austerity and how should it be practised, only to feel closer to God.Thankyou for the wonderful insight. he is a perfect example of strict with oneself n lineant to others . however he very much emphasises on inner austerity i.e. cointrolling ego , envy , pride. 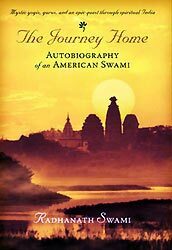 No one can even think a person from a luxrious life can stay in such austere lifestyle like HH Radhanath Swami Maharaj did. Thanks for sharing this wonderful article – Maharaj’s sincerity and humility reflects in everything He says and does. I am highly touched by this statement of Radhanath Swami. “Austerity means even if our mind and senses are disturbed, our actions and words are performed according to the will of God”. Maharaj is a true Vaisnava. Tough on self lenient with others. This is clear from his answer on why he had to go through all the austerities. It takes one to know one – Only a person eager to find the path to God like Radhanath Swami can see the inner positives in anyone apparently looking wild and tough. HH Radhanath Swami Maharaj has wonderfully explained that real austerity is to please God. Austerities are not all in all but they are means to attain God. Also the same question why he doesn’t encourage his disciples into severe austerities was asked to him by By Ajayan on a radio interview. He gave an excellent answer to that. Those who are interested can follow the link below. The interview was on the show Mind Matters with Ajayan. Henry (Ajayan) Borys a spiritual practitioner himself and known in the spiritual circles in Seattle. Very inspiring – actually the main purpose of austerities is to control the senses so that we come out of our senseless engagement in sense gratification and gradually come to our senses and sense that we are eternally servants of krishna and not masters in any sense. Now living it practially is real austerity. In general people think of austerities as sense control and living harsh life style. Each & every article taken from Maharaj’s book is like a GOLD which is more precious than anyone’s life. Thanks for sharing. One’s capacity for performing austerities should not induce unnecesary pride that takes the person away from Krishna.It is enough if work is performed as an offering to the Lord in order to please Him.To do the Will of the Lord could me much simpler than what we imagine.Maharaj is quick to point this out.Thanks Maharaj for this wonderful insight. The symptoms of great personalities like Radhanath Swami is that they are strict with themselves while linient with others. Radhanath Maharaj is really an apt Guru, he knows how to bring people closer to God. Regarding austerities, like many others have shared, he is very strict to his own self even though he is linient to others. Because of that nature of his, many have gradually come closer to God. Radhanath swami sets an amazing example for each of us. wonderful blog. Thanks to everyone that is part of this. For somebody who has done tremendous austerities the tendencies of false pride so easy to pop up, but Radhanath Swami Maharaj is instead putting himself in a very low position. That is the touching point. Thank you very much Radhanath Swami.By taking shelter of radhanath swami we can break d cycal of birth and death. I just thinking i’d report and let you know your information sites is handy for revealed the practical truth.I essentially love your weblog.Fully, the guide is in certainty the best on this really worth while topic. I concur along with your ideas and will impatiently appear forward to your arriving up-dates. Simply just saying thanks won’t just be adequate, for the dramatic lucidity inside your publishing. I will straight away capture your rss feed to stay abreast of any updates.True do the job and very much achievement in the work and business enterprise endeavors.Anyway hold up the fantastic work.Thanks. “Collective unity is more important than individual purity.” What a simple message Radhanath Swami gives here. If we simply follow this, we can come at the real level of devotional service in our lives.